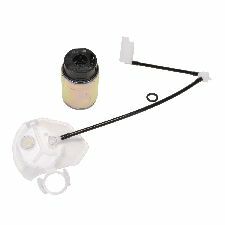 We stock Fuel Pump and Strainer Set parts for most Scion models, including tC, xB, xD. Airtex enhanced electric in-tank fuel pumps are 100% quality tested and are designed to deliver quiet operation, industry-leading performance and durability. All Airtex pumps meet or exceed OE specifications in fit, form and function. Quality Airtex in-tank fuel pumps deliver optimum performance while providing long life. Airtex enhanced electric in-tank fuel pumps are 100% quality tested and are designed to deliver quiet operation, industry-leading performance and durability. All Airtex pumps meet or exceed OE specifications in fit, form and function. TO 1/2012; Strainer included with pump. FROM 1/2012 Strainer included with pump. 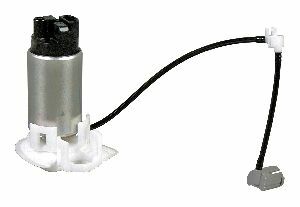 From 09/2007 Delphi is an OEM supplier Fuel tank contamination is the leading cause of premature fuel pump failure. To reduce risk of contaminating the replacement pump, Delphi recommends cleaning the fuel tank before installing a new pump. Use of fuel tank cleaning kit FC01 is recommended. 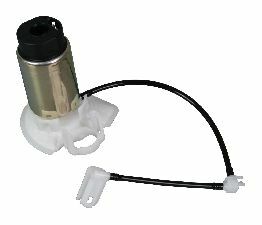 Delphi is an OEM supplier Fuel tank contamination is the leading cause of premature fuel pump failure. To reduce risk of contaminating the replacement pump, Delphi recommends cleaning the fuel tank before installing a new pump. Use of fuel tank cleaning kit FC01 is recommended. From 01/2012 Delphi is an OEM supplier Fuel tank contamination is the leading cause of premature fuel pump failure. To reduce risk of contaminating the replacement pump, Delphi recommends cleaning the fuel tank before installing a new pump. Use of fuel tank cleaning kit FC01 is recommended.